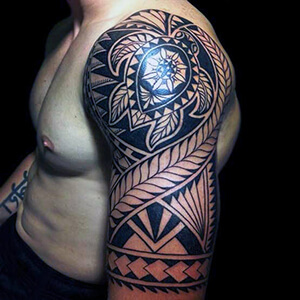 Enata: this Polynesian motif symbolizes both humans and gods. A reversed enata symbolizes an enemy. 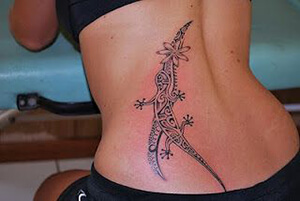 Lizard: also portrayed as a gecko, this tattoo design represents a creature with the power to communicate with gods. 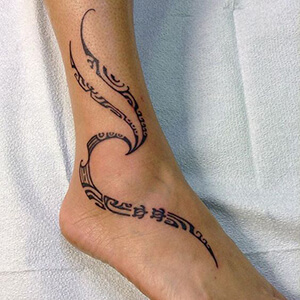 It is believed that a lizard tattoo design brings good fortune to the wearer. 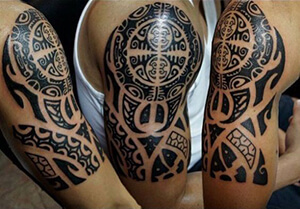 Marquesan Cross: based off of the turtle’s shell, this abstract tattoo design symbolizes the balance between the elements, as well as universal harmony. Ocean: the Polynesians believed that the ocean was their final destination, the place where they would go to die. Hence, the ocean came to symbolize death and the world beyond. Since these people relied so heavily on the water as a source of nutrition, it also represents fertility abundance. 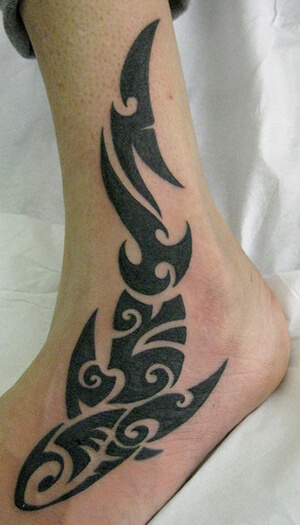 Shark Teeth: also known as ‘niho mano,’ the shark tooth is a popular Polynesian symbol. The shark was believed to be the god of the Polynesian people. As such, the shark tooth has come to represent guidance, shelter, and power. Shells: both turtle shells and seashells are important Polynesian symbols. 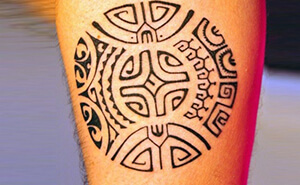 Generally, they represent longevity, wellness, fertility, and peace. 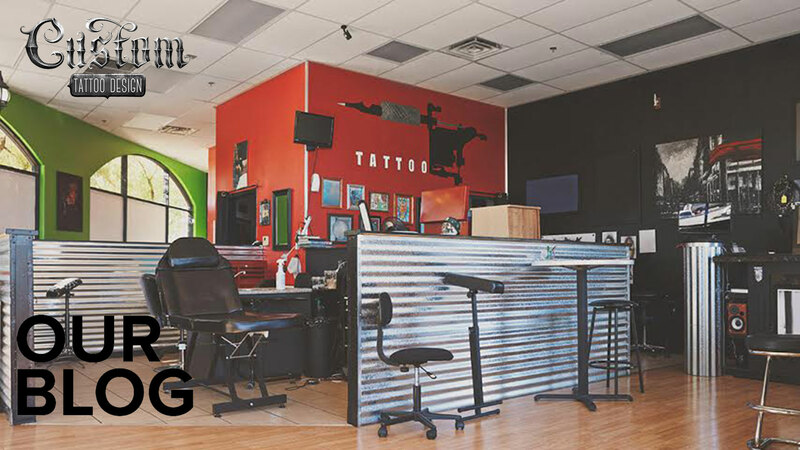 Spearheads: these geometric designs are an expression of courage in battle. A line of spearheads facing the same direction represent the defeat of the enemy. 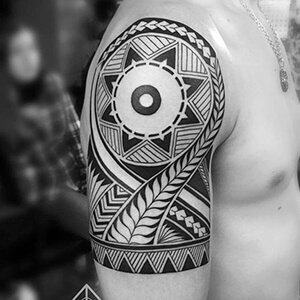 Sun: as the most important element of Polynesian society, the sun stands for richness, brilliance, and rebirth. 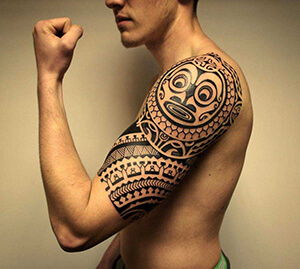 Tiki: this human-like figure represents the Polynesian semi-gods. These were ancestors sublimed after death, and they were believed to play a protective, guardian role. Life as a Polynesian was a life deeply connected to the natural world- and especially to the water. 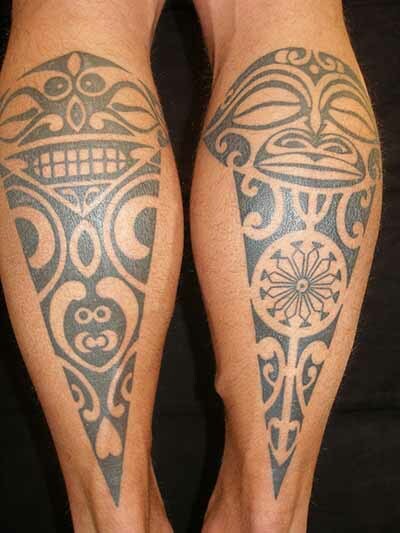 Polynesian tattoo designs reflect what was important to their culture, representing all parts of nature that were central to their lives, as well as the spiritual connections between them. 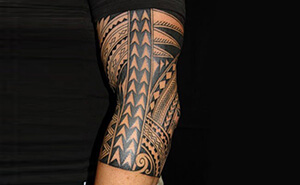 If you know of other interesting Polynesian tattoo designs, let us know about them in the comment section below!